U.S. News & World Report ranks Boston as the top summer vacation destination in the United States, and the third best in the world. 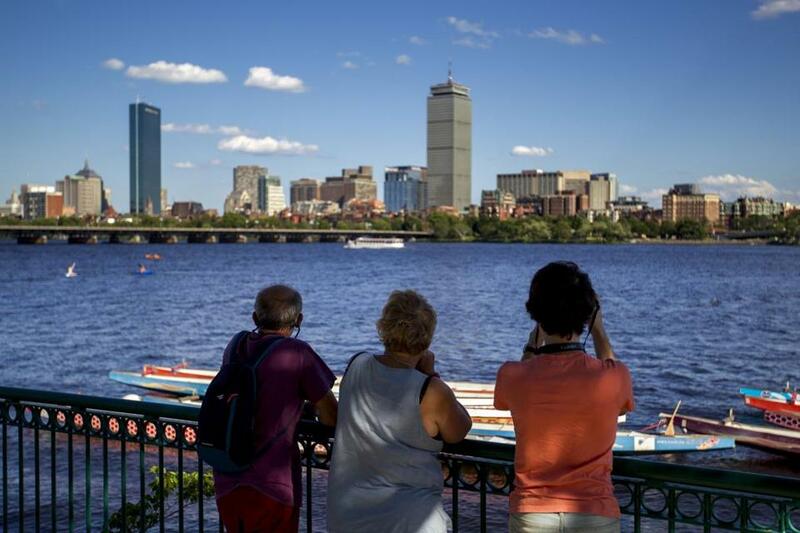 Massachusetts may have dropped from first place to eighth in US News & World Report’s annual ranking of best states in which to live, but Boston has risen to the top of the magazine’s rankings for best summer vacation destinations in the United States. Boston also ranked third on the list of best summer vacation destinations in the world (behind Paris and Florence!) and fifth for best family summer vacations. New York City topped that list, followed by the Bahamas, Niagara Falls, and the US Virgin Islands. US News & World Report says its methodology for travel rankings is to base them on an analysis of expert and user opinions. “We believe this unbiased approach makes our rankings more useful than simply providing our editors’ personal opinions,” the website states. Seaside, Ore., and Steamboat Springs, Colo., were ranked second and third best US summer vacation destinations, followed by Nashville, Portland, Ore., and Portland, Maine. Complete lists can be found at travel.usnews.com/rankings/best-summer-vacations-in-the-usa. Chris Morris can be reached at christine.morris@globe.com.